Ultrasonic Welding machines for assembling complex thermoplastic parts, easily be adapted to the accurate measurements of the parts to be welded together. The parts are sandwiched between a tightly formed nest, and a low amplitude acoustic oscillation of ~ 20 kHz is emitted, and a sonotrode (horn) connected to a transducer. During welding of plastics, the interface between the two parts is specifically designed to make the melting process concentrated. One of the materials usually has a spiked energy director, which makes contact with the second plastic part. The point of contact between the parts is melted by the ultrasonic energy which creates a joint. Such a process is a sound alternative to screws, glue, or snaps designs. Typically, it is used with small parts such as cellular phones, consumer electronics, disposable medical tools, toys, etc. but it can be used on parts as large as instrument cluster of an automotive. Ultrasound can also be used to weld metals, but is typically limited to small welds of thin deformable metals, e.g. nickel, Aluminum, and copper. When welding the chassis of an automobile or when welding together parts of a bicycle, no ultrasound would be used because of the required power level. Localized melting of the plastic is caused by Ultrasonic welding of thermoplastics due to the vibrational energy absorbed along the joint to be welded. For metals, welding takes place as a result of the dispersion of surface oxides under high pressure and the local movement of the materials. Although there is a warming, it is not enough to melt the base materials. Ultrasonic welding machine from Huizhou Shengyang industrial Co. Ltd can be used for metals and both hard and soft plastics like semi-crystalline plastics. Research and testing has increased the understanding of ultrasonic welding. The invention of more sophisticated and cheaper devices and the increased demand for plastic and electronic components have led to a growing knowledge of the basic process. Many areas of ultrasonic welding, however, require further investigation, for example, the relationship of process parameters and weld quality. 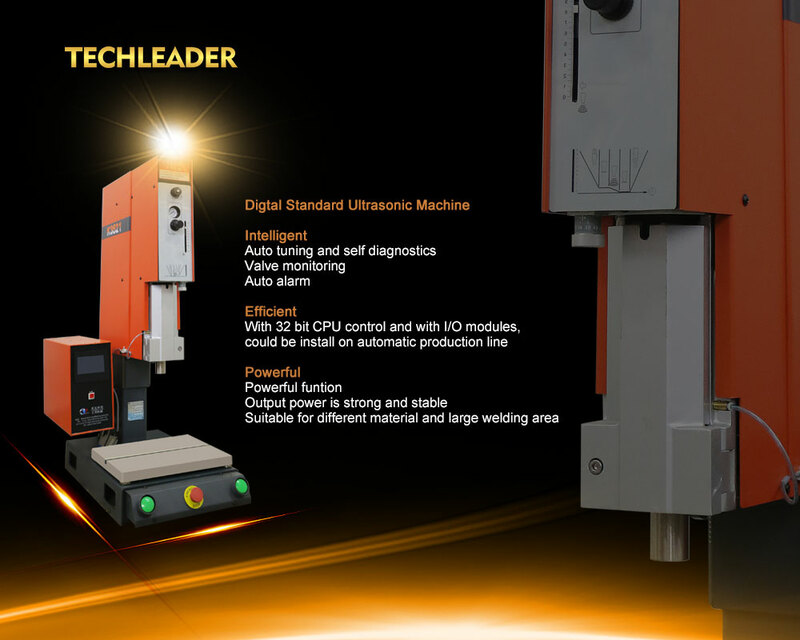 Ultrasonic welding has continued to be a rapidly developing field. Nonpolar and amplitude adjustment: During the adjustment process, the amplitude can be increased or decreased immediately; it can also be adjusted to prevent the rubber parts from welding perfectly, effectively reducing burns and penetration. The defective product setting range is around 10% ~ 100%. Automatic frequency hunting: intelligent frequency control system, eliminate the inconvenience of automatic detection of ultrasonic overload, manual frequency modulation, automatic adjustment to the optimum frequency band, and tracking the best resonance point to achieving stable operation of the machine and vibration group temperature at its lowest point. The welding head frequency increases with the frequency and the machine adapts automatically. Frequency offset protection, mold power is too high protection, and total output is too great protection. The welding accuracy is higher and finer to protect the machine. Operation is easier, the welding head is replaced, the power supply is restarted as the welding head is fixed.